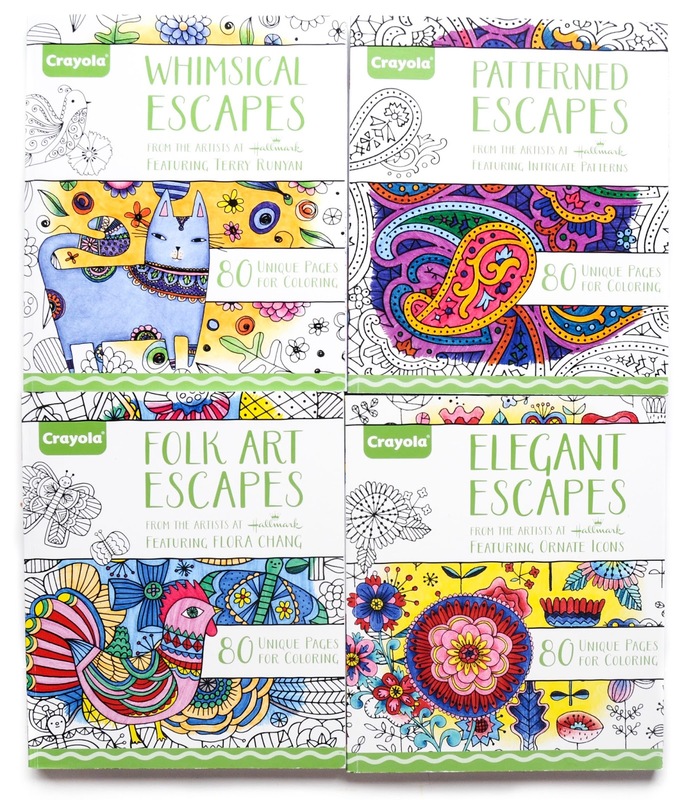 I was so excited to find the Crayola Folk Art Escapes and Elegant Escapes adult coloring books at the Crayola Store in Kansas City. I found the Whimsical and Patterned Escapes later at Toy's R Us. The coloring book pages are sturdy and heavy. They were first made in 2015 in conjunction with their parent company Hallmark. I am planning on copying the pages and coloring them with my little girl. It will be so much fun. 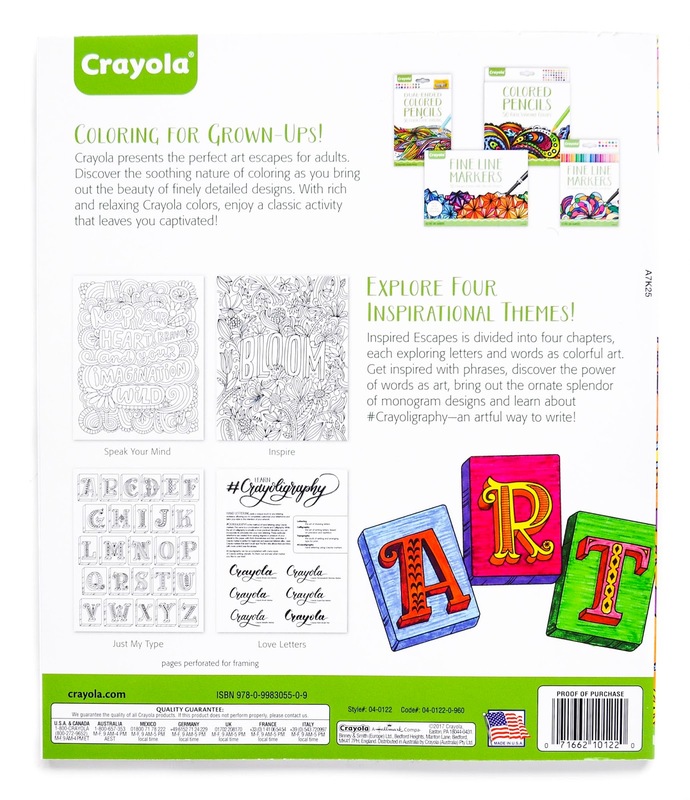 Crayola also came out with a line of matching markers and colored pencils (Aged Up). Check them out here! I wanted to find all of the adult coloring books, but they fly off the store shelves. Here are some pages I colored from the books. It is super fun to color and come up with ideas for what they should look like. I love using thin markers like Doodle Scents, Dynamic Duos and, Pip Squeak Skinnies, and Super Tips markers. 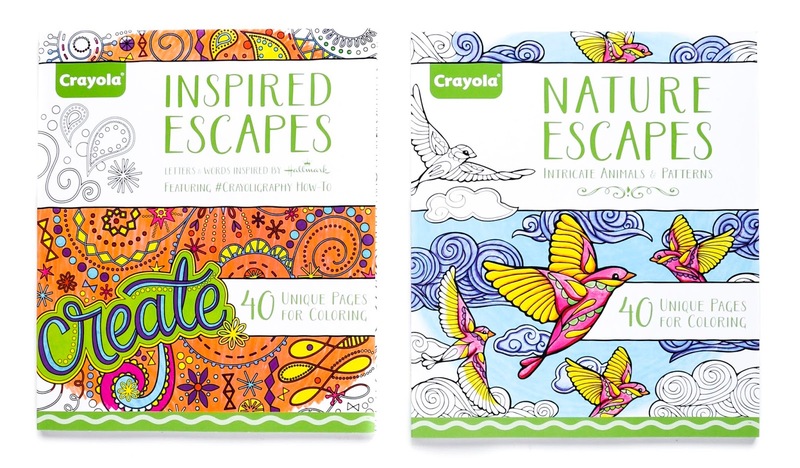 In 2017 Crayola came out with it's own Escapes series Nature and Inspired Escapes. These books are only 40 pages and not made by Hallmark Artists. 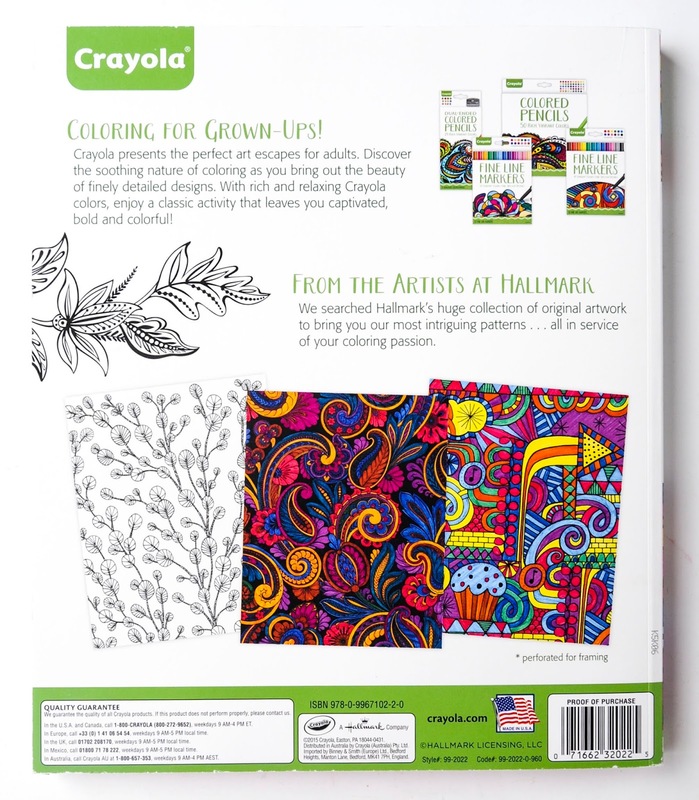 Hallmark actually has their own line of adult coloring books now. Thank you these look great! 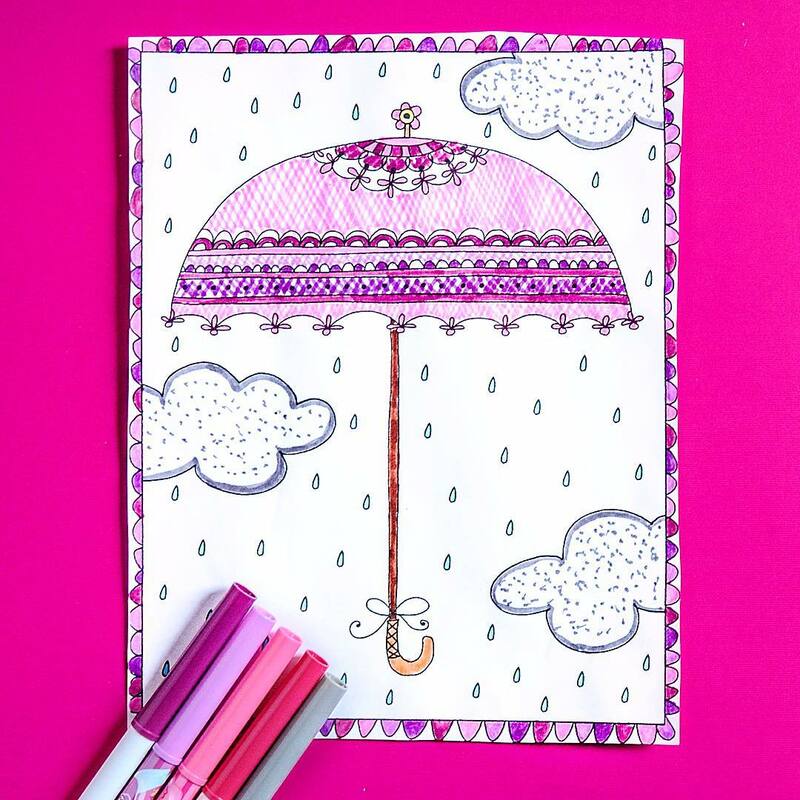 Just a question: What do you do with the coloring pages when you are done coloring them? I post some of them online on Instagram and keep them. It would be a good idea to hang them somewhere. I love the Crayola Escapes coloring books! I have 3 the Elegant, Whimsical, and Folk Art. 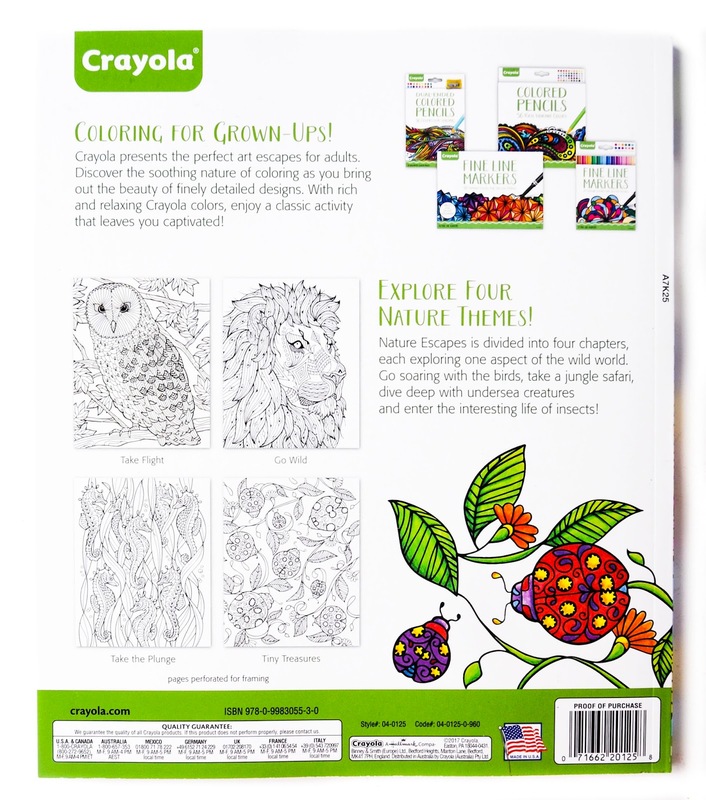 I also found on Amazon.com the Halmark/crayola coloring sheets in themes like National parks and wildlife and Gardens. 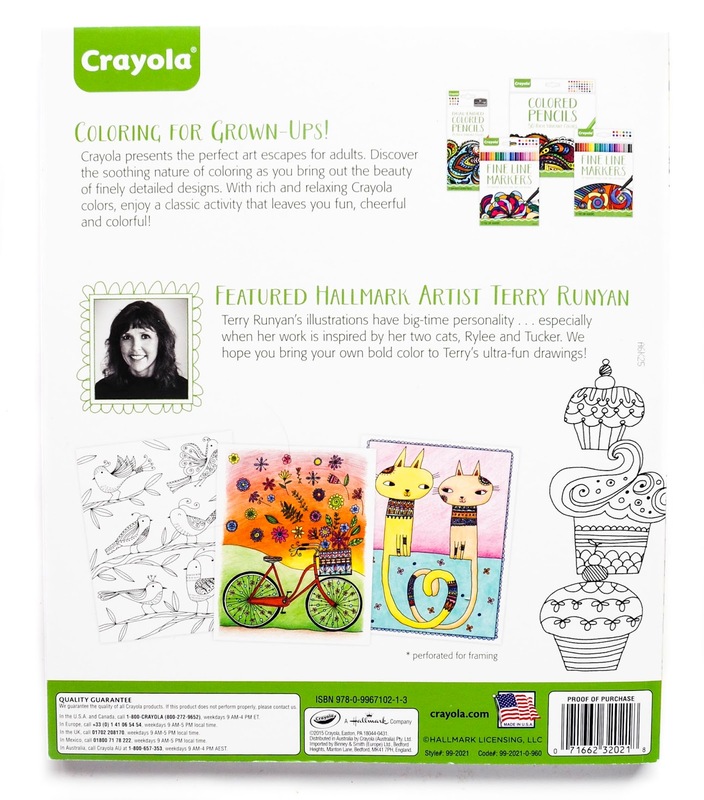 These are also beautifully drawn illustrations to color on terrific heavy weight paper. 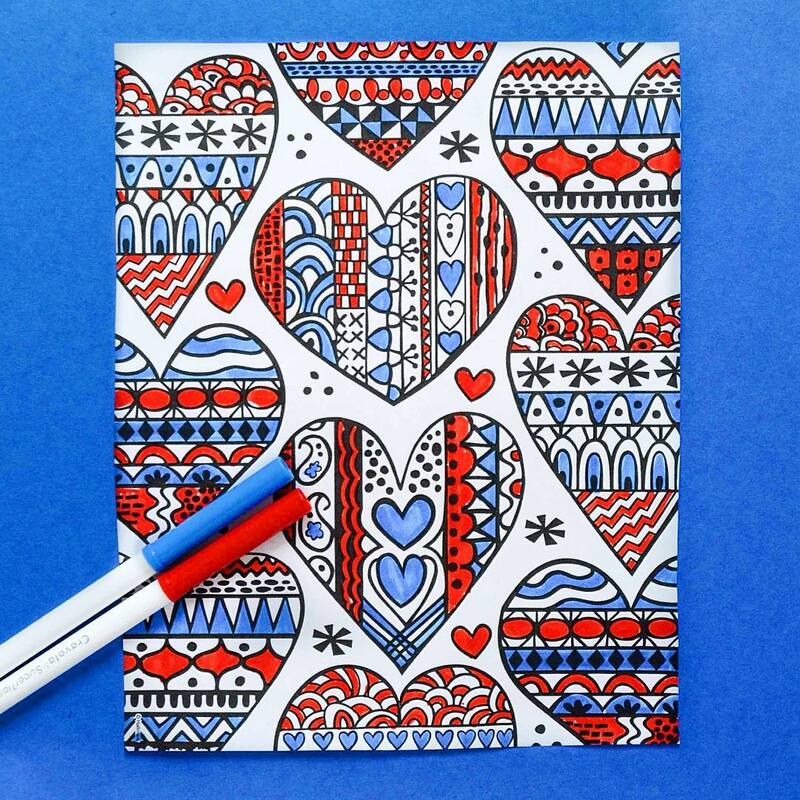 Honestly, I feel so fortunate to have discovered these great adult/teen coloring collections!